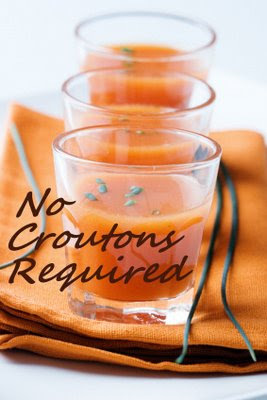 I haven't taken part in No Croutons Required (NCR) for a few months. It's Lisa's turn to host and also her birthday, she loves spicy food and has asked for spicy soups and salads this month. There was a special offer on the veggies at the supermarket last week and parsnips featured in the offer so I ended up with a couple of packs of parsnips and decided to make a curried parsnip soup. Heat the oil in a large saucepan or pressure cooker, add the choppped onion and cook gently until transparent. Add the curry paste and cook for about a minute, add the parsnips and cook in the oil and curry paste for about 5 minutes until coated and slightly browned. Add the vegetable stock and seasoning and cook until the parsnips are soft. Let the soup cool slightly, either liquidise or use a stick blender to puree the soup. Add the milk or cream and adjust the seasoning to taste. This is a very simple soup, but was really delicious. I've never made it with curry paste before but as I always have some in the fridge, I will definitely do so again. It seemed to add a depth of flavour as well as a little heat to the soup. I managed a NCR today for the first time in ages! I also have parsnips and spice - but a very different soup! Parsnips are one of my fave veggies but I've never tried it in a soup before. What a great idea, sounds and looks so tasty and comforting. 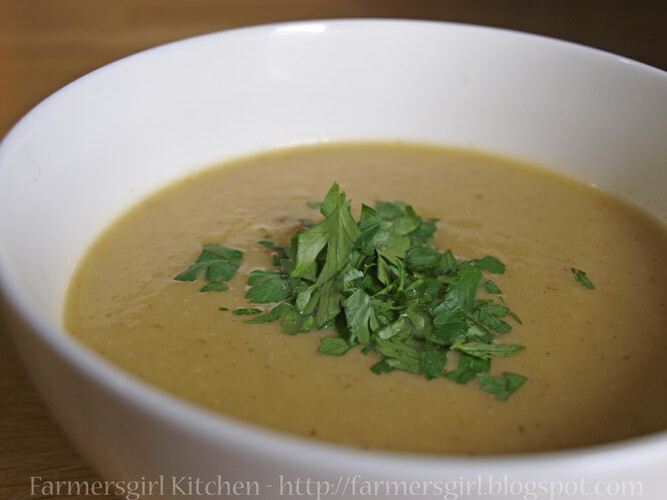 Love curried parsnip soup. Reminds me I've got some in the freezer. I usually put apple in with mine too. love love love a curried parsnip soup... wonderful stuff! My KIND of soup Janice, as I love curry and parsnips, so a perfect bowl of comfort food! I usually make the original recipe from Jane Grigson but I like to add a little fresh coriander. Such a good soup! Tapas Tasting at La Tasca! Clean up your mess - Giveaway!